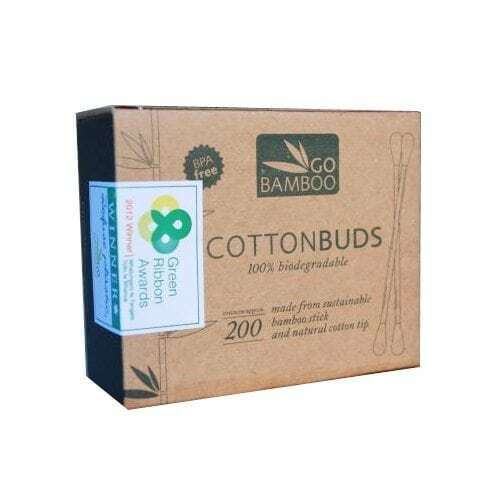 Go Bamboo Cotton Buds are an essential item for any well-stocked bathroom cupboard. Ideal for those little jobs that call for precision, like removing eye makeup, applying face paint, cleaning jewellery or your computer keyboard. View the full Go Bamboo range here. Go Bamboo offers award-winning, zero-waste products for everyday use. Made from natural bamboo, our products and packaging are designed to be disposed of at home and are non-toxic, biodegradable and recylable. Their mission is to provide simple, sustainable alternatives to plastic items that end up on our beaches and in our oceans.